Cover of "Thrilling Wonder Stories," Oct. 1937 including "The Hothouse Planet" by Arthur K. Barnes. 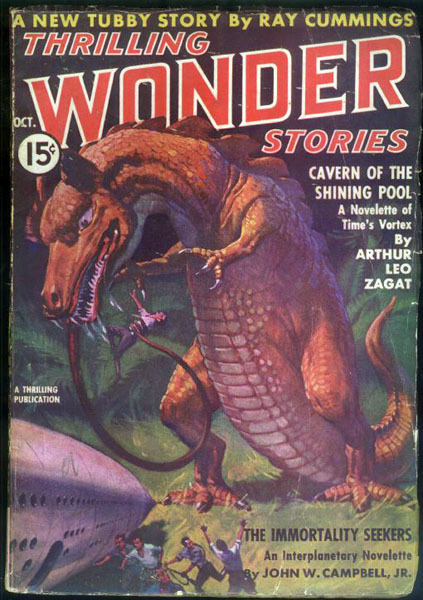 The cover illustration shows an attack by a fearsome Venusian Whip. — The Hothouse Planet by A.K. Barnes. Although scientists today take a very different view, in the pulp days the planet Venus was thought to be a hothouse world, covered by swamps and warm oceans and populated by monstrous life. It was further assumed that Venus and Mars had human colonies and that each planet had their own humanoid populations. 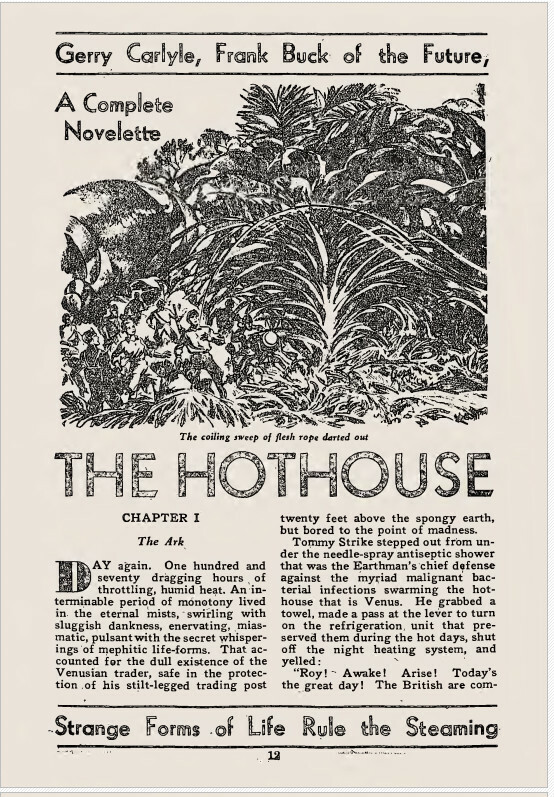 The Hothouse Planet (1937, alternative title, Venus) is the first in the Gerry Carlyle, Interplanetary Huntress series. In it, we also meet handsome trader, Tommy Strike. 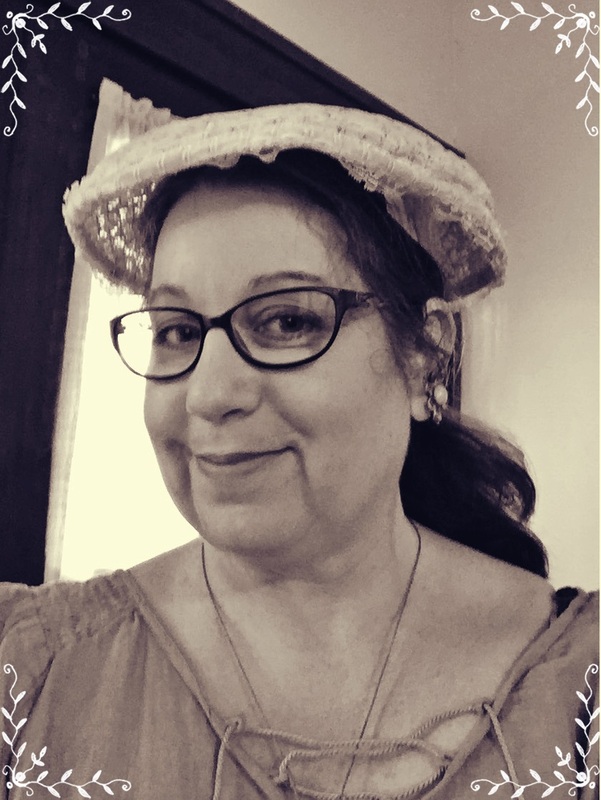 It’s not too much of spoiler to say that Carlyle and Strike eventually hit it off pretty well, in fact, become engaged. Far more interesting is their adventure on Sol’s second planet. Of course, Strike is familiar with the oddities of the hothouse planet, having worked there for several years. But Carlyle, commander of a tactically-trained crew of hunting specialists, is not without her own resources. Illustration for "The Hothouse Planet" (October 1937) by Arthur K. Barnes. Readers who believe that heroines from the pulps were all fainting flowers would do well to look at Barnes’ Gerry Carlyle. She’s smart as a whip, an excellent military commander, and a starship captain. She’s canny, and of course, beautiful. Although in later stories Strike serves as co-captain of the mighty Ark, there is never any question that she’s the team’s real leader. In Hothouse Planet we take a walking tour of Venus, as seen from the hunters’ perspective. Besides the sweltering heat and poisonous plants, the company encounters deadly monsters such as Shovel Mouths and Venusian Whips, and native humanoids wielding horrible poisons. 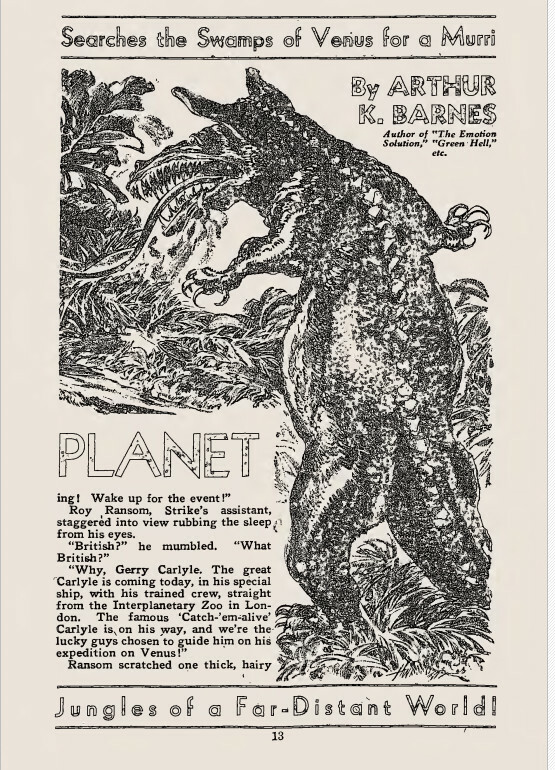 Carlyle’s after a strange type of animal, a Murri, for her bosses at the London Interplanetary Zoo. The Murri is an odd little beast that will die before it permits capture. It’s a puzzle that seemingly defies solution but, of course, does get resolved after a last ditch battle for survival. I heartedly recommend any of the Gerry Carlyle, Interplanetary Huntress stories. As a final side note — Arthur K. Barnes and Henry Kuttner used a shared world format for the Gerry Carlyle/Interplanetary Huntress and Tony Quade/Hollywood on the Moon stories and there are several cross-overs. As some readers might already know, I am very fond of Henry Kuttner’s pulp stories. But in this case I must say that I prefer the Barnes/Gerry Carlyle side of the collaboration. Is that because I like the heroine’s perspective? Perhaps. But I also think that the vivacious “catch-‘em-alive” Carlyle is better written then ace cameraman Tony Quade, who seems a bit more harried than anything else. 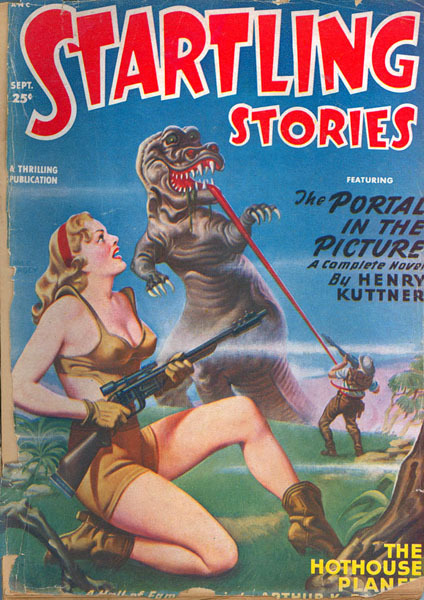 Cover for "Startling Stories," September 1949 featuring "The Hothouse Planet" by Arthur K. Barnes.